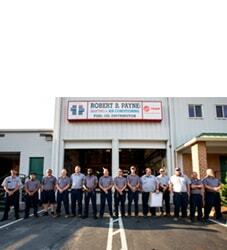 Best Heating Contractors in Fredericksburg VA | Robert B. Payne, Inc.
You shouldn’t trust your heating services to just any HVAC company in the Fredericksburg area; you should always go with a company backed by plenty of experience and a great reputation. Robert B. Payne, Inc. was formed in 1930, and since then we have learned all there is to know about heater repair and heater installation. Let us know if you are in need of a new heater, or if you are interested in tips about keeping your heater in tiptop shape. I recently had my HVAC system and hot water heater replaced, service was great as usual. I knew my cost, financing and product information before any work was started. Jonathan and James worked quickly and they were very good about explaining my new thermostat. Thanks again. We understand how confusing and time consuming it can be to narrow down your choices regarding a home comfort system. If you are in need of one for your home or business, we would be more than happy to make a personalized recommendation for you based on your specific needs as well as your budget. We can also help you out even if you are not in need of professional heater repair or heater installation. 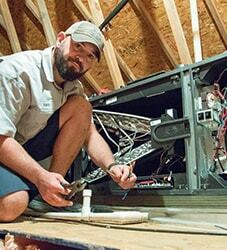 Routine maintenance plays a huge part in making sure that your unit is in working order and can go a long way in helping you to avoid emergency repairs later on, and we all know how expensive and inconvenient those sudden repairs can be. Give your heater a checkup while it is still in working order and before the winter season rolls in, when you need your heater most. How are the sizing capacities of heating systems measured? When it comes time to choose a new heating system for your home, choosing one that is the correct size for your requirements will play a major part in receiving the very best in comfort, efficiency, cost, and maintenance. According to national surveys, over half of HVAC contractors fail to properly size the heating system they install. This is actually the most common mistake a contractor can make, and it makes the entire system more expensive and less efficient. To size the system correctly, you need to factor in the local climate, the size and shape of the entire house, the insulation of the home, the window and door placements, air filtration, the occupant’s comfort preferences, and even the type of home appliances that give off heat. Homeowners should insist that all heating contractors or companies use the right sizing calculations before they sign a contract. How important is it to get the right size of heating equipment? To reduce the energy costs within your home, you want a system that has been installed properly by professionals and has been sized correctly for your home and your needs. Sizing is vitally important to ensuring the heating equipment will run properly, break down less, require less maintenance, and use less energy – effectively lowering your monthly bill. An HVAC system exists solely to offer you comfort. By ignoring the correct sizing requirements, you effectively remove the entire purpose from the unit. It is now a hunk of metal pushing heat into the wrong parts of your home at incorrect temperatures. No one wants to waste their monthly bill on a unit that does not run efficiently. By installing the wrong size, you will also end up spending more money. By installing a larger size, the price of installation increases exponentially, as do the maintenance and operation costs. An ideal system will be available for a reasonable price. WHow do I pick a new heating system for my home? Choosing a new heating system for your home can be a big decision. There are numerous factors that will play a part in the decision you make, including the cost of installation, the cost of operation, how energy efficient the potential system may be, and how well it heats the entire home. On top of all of this, the climate zone where you live will play a huge part. When it comes to selecting the heating system, you should bring in an HVAC expert who can fully examine all of the factors, including the size of your home, how well the insulation works in your home, the leaks in the ductwork, and the temperature that you keep the building at during the winter. 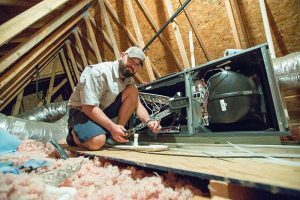 Once this inspection has been completed, the technician can offer a few suggestions and a bit of advice to make the decision-making process a bit easier in the long run. What types of heating systems can be used on commercial properties? When it comes to heating a commercial property, the same heating system that works in a household may not perform as efficiently in the business district. This is quite common. Many businesses tend to opt for constant air volume systems, which use a single duct air system with a constant flow of air throughout the entire building. The air temperature will vary based on the installed thermostat. Another popular option is variable air volume, which also uses a single duct system with varying airflow. The temperature indoors is based on the outside temperature. The choice as to which you use for your commercial system will come down to your needs at the time. Our HVAC technicians can offer some insight into the choice. Upon completing an inspection of the entire building, we can give our expert opinion to make the choice a bit easier for you. 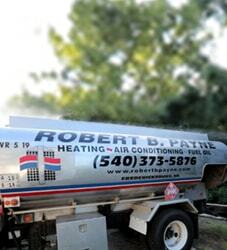 To learn more about any of our other quality heating services, call Robert B. Payne, Inc. today at (540) 373-5876 or contact us online.